There is something about seeing the guy you love become a dad. How it is second nature for him to plant a kiss on Everett's head or cheek every time he picks him up. How he full on laughs when Everett does something only we would find hilarious. How, most times, he can get him to sleep in one minute and thirty seconds flat while he sings lullaby's with his own version of the lyrics. How he googles how to make baby's stomach stop hurting and watches youtube videos on how to help him get rid of gas. How he sneaks in at night with me to watch Everett sleep. 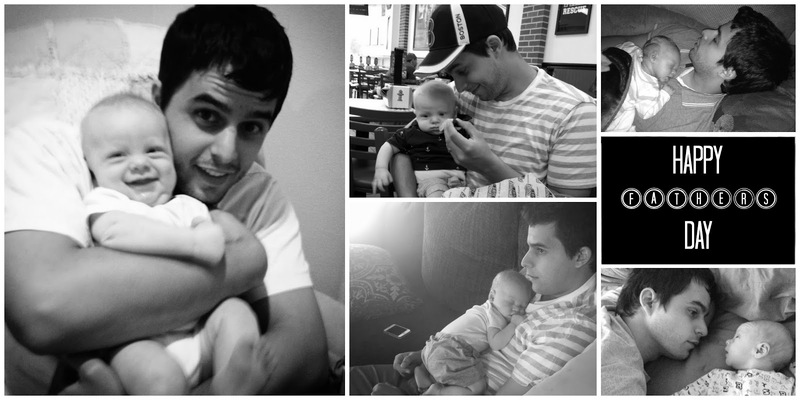 Happy Fathers Day Ben, I am so happy Everett has such a great dad as an example. 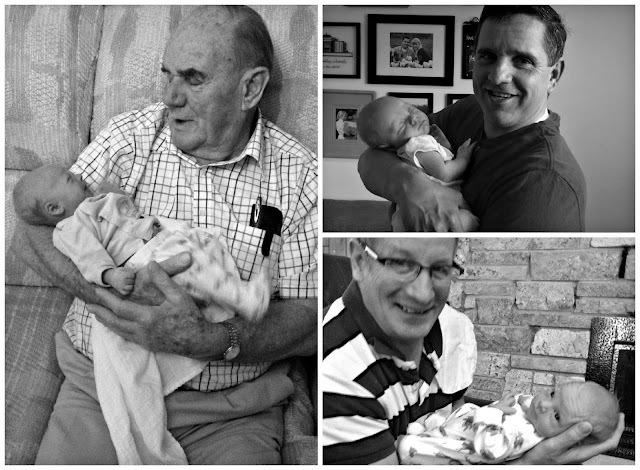 Between my dad, my father in law and Ben we are all pretty lucky over here. Truer words were never spoken: nothing compares to seeing the man you love become a dad! Beautiful post! Happy Father's Day to Ben! So sweet! I can picture him doing those things and it makes me smile. We got a laugh reading that he makes up his own lyrics to music because we know where he gets that from - His father makes up his own lyrics to songs also!!! Love all the pictures! !Everett is so blessed to have such wonderful parents!! We love you two! Ben Happy First Father's day! !